How much would you pay to hang something on your wall? 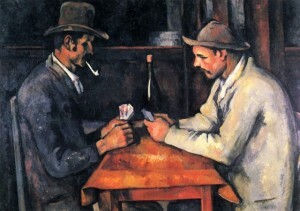 In a private sale concluded in 2011, the details of which are only now becoming public knowledge, Qatar bought Cézanne’s “The Card Players” for $250 million! This is more than double the auction record for a work of art and can be a major game changer to pricing in the fine art market.